CHINA has imposed tariffs on 128 US imports worth US$3 billion (HK$23.5 billion), including fruits and pork, retaliating for US duties on steel and aluminium that Beijing said “seriously infringed” Chinese interests. China’s move, which the Xinhua news agency said was decided by the custom tariffs commission of the State Council, followed weeks of rhetoric that raised fears of a trade war between the world’s two biggest economies. 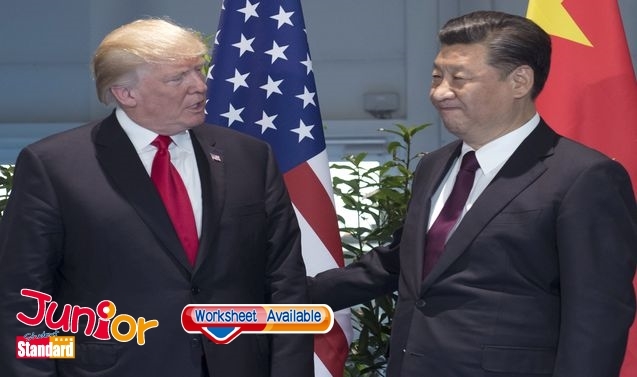 The Trump administration had said its duties were aimed at steel and aluminium imports that it deemed a threat to US national security, but China’s Commerce Ministry called that reasoning an “abuse” of World Trade Organisation guidelines. The ministry said the US measures “are directed only at a few countries, seriously violating the principle of non-discrimination as a cornerstone of the multilateral trading system, which seriously infringed the interests of the Chinese side”. Trump has temporarily suspended the tariffs for the European Union as well as Argentina (阿根廷), Australia (澳洲), Brazil (巴西), Canada (加拿大), Mexico (墨西哥) and South Korea (南韓). President Donald Trump has repeatedly railed against China’s massive trade surplus with the United States and promised during his US election campaign to take steps to slash the US deficit. China has called on the United States to stop its “economic intimidation”.